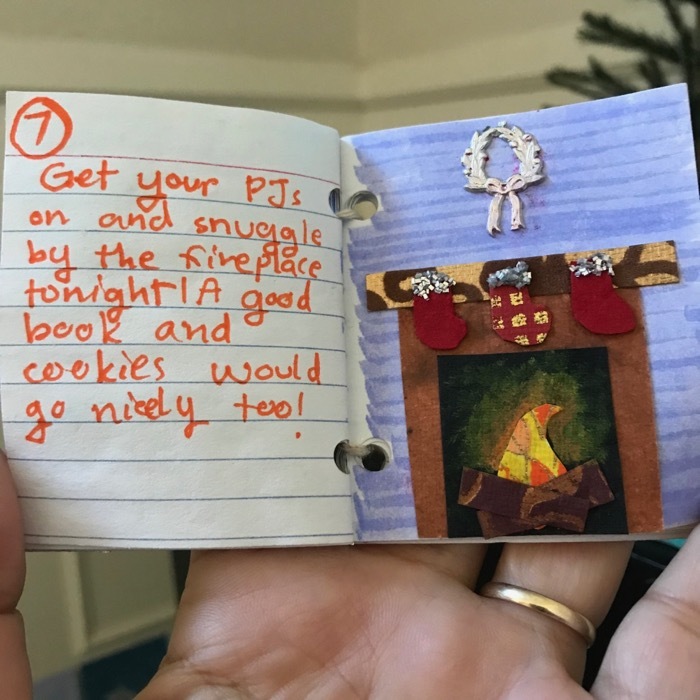 Maria made something that has been pure holiday magic. 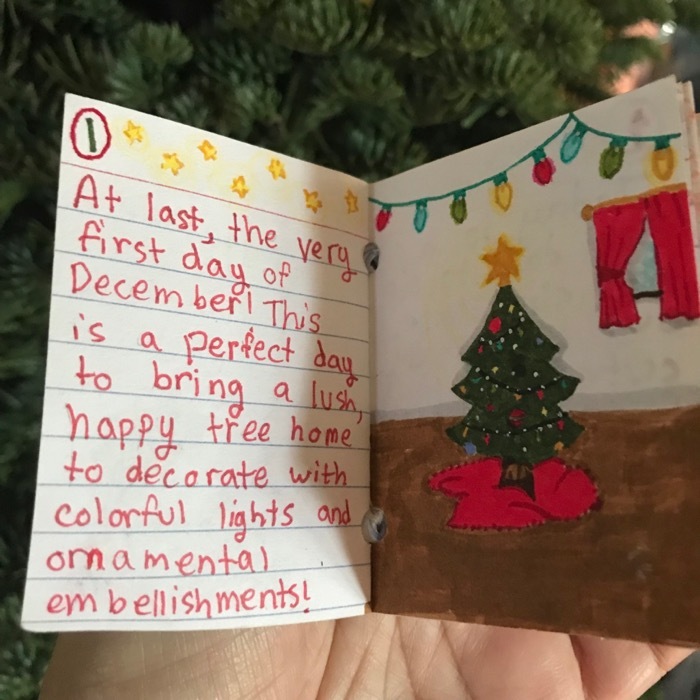 Her gift has been giving me a daily smile and inspiration, as we countdown the days until Christmas. 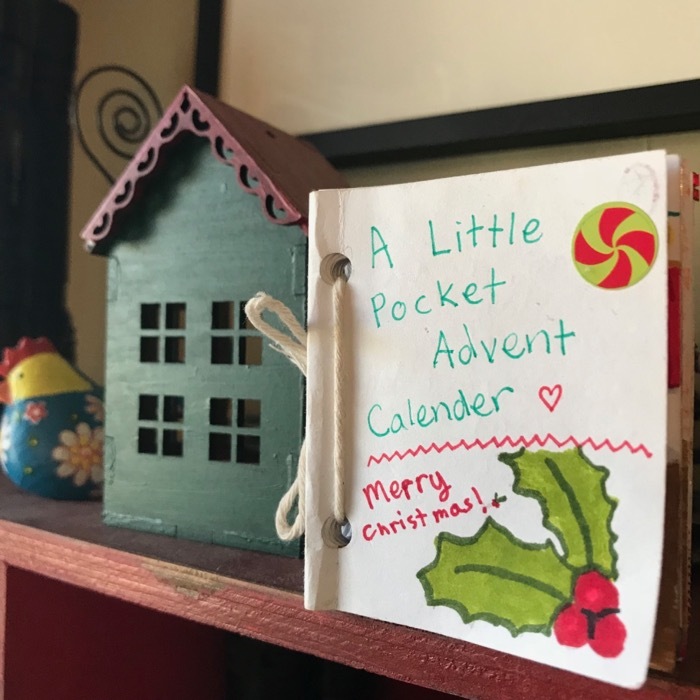 In her secret workshop, Maria created this little book, A Little Pocket Advent Calendar. I love it. 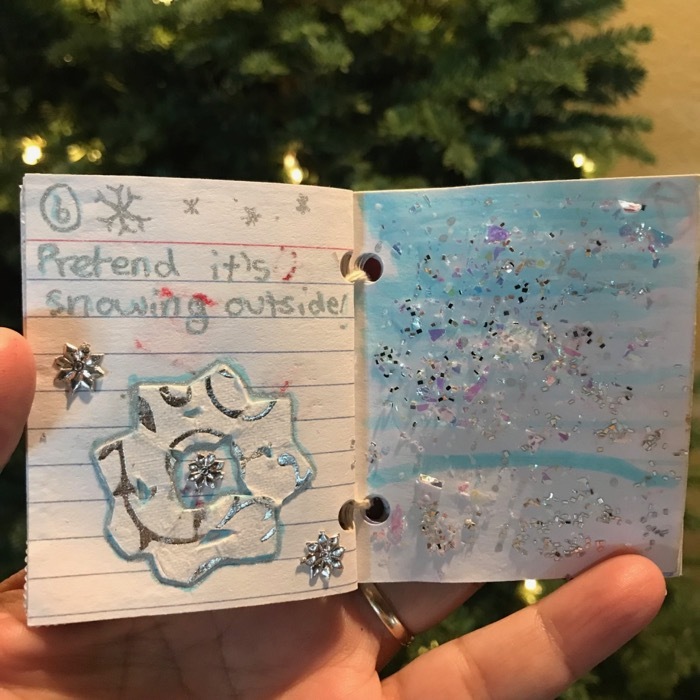 I love each handmade page, the glitter, the thought and effort, the ideas, and suggestions. I have been waking up with a bit of that Christmas wonder I remember feeling when I was her age... excited, eager, full of hope, ready to see something special in the day. We ordered Mexican hot chocolate when we met our friends for breakfast. She's not insistent on doing exactly what the book suggests. We made cranberry bars, and shared them with friends. We'd still love to host a cookie exchange. 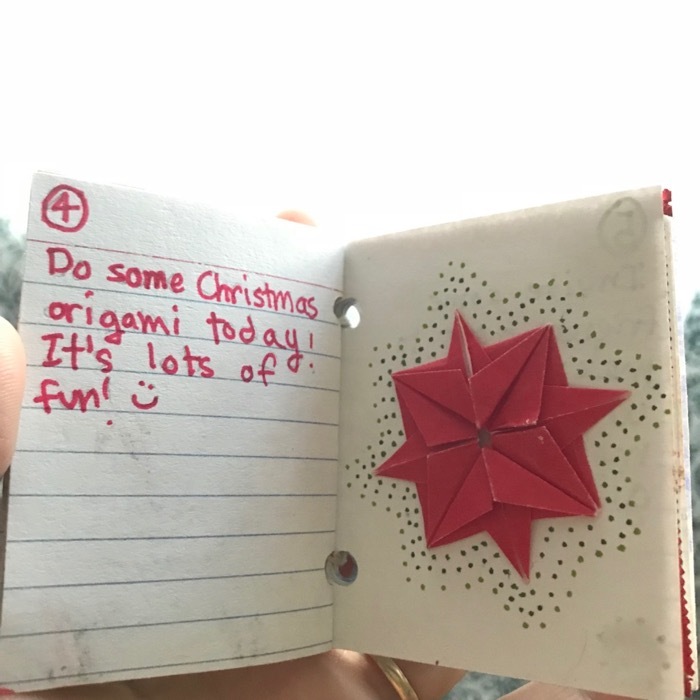 Her beautiful origami! This reminds me of the beautiful ornaments my mother made from Christmas cards. I bet Maria would love to recreate those. Now this one we really went for! We invited a few friends to come and make flowers with us. Carol and Leo were down for an impromptu playdate, and we made some tissue and napkin blossoms. These lyrics, "Oh, the weather outside is frightful," are ringing true, but we have nothing at all like snow in California! We are under a Purple Flag Warning in our county, and further north, things are far more dire. We've had our fill of wildfires and evacuations in our lives, and so at the end of the day a little make-believe and home comforts were very much welcome. As real winds blew, we slipped into our pajamas and watched It's A Wonderful Life. Yes, more home comforts, and simple pleasures. I am looking forward to this evening, and all the days ahead. 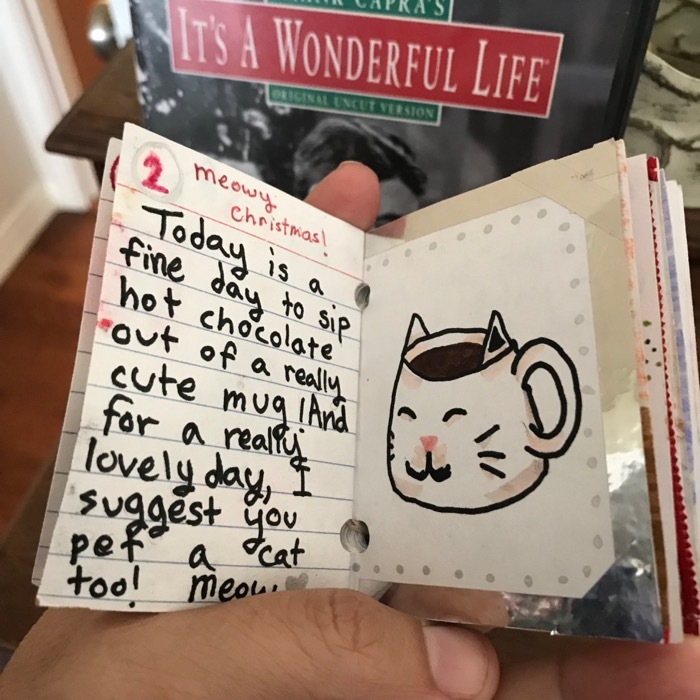 This time of year can be hectic, and full of urgent demands, but Maria's gift is making a nice difference, every day, and sweetly reminding me that it's a wonderful life. Very wonderful indeed, and she has an incredible vocabulary for one so young, especially these days. Wishing you and your family a lovely Advent and Christmas, and may you stay safe (may we all!) from the raging fires. 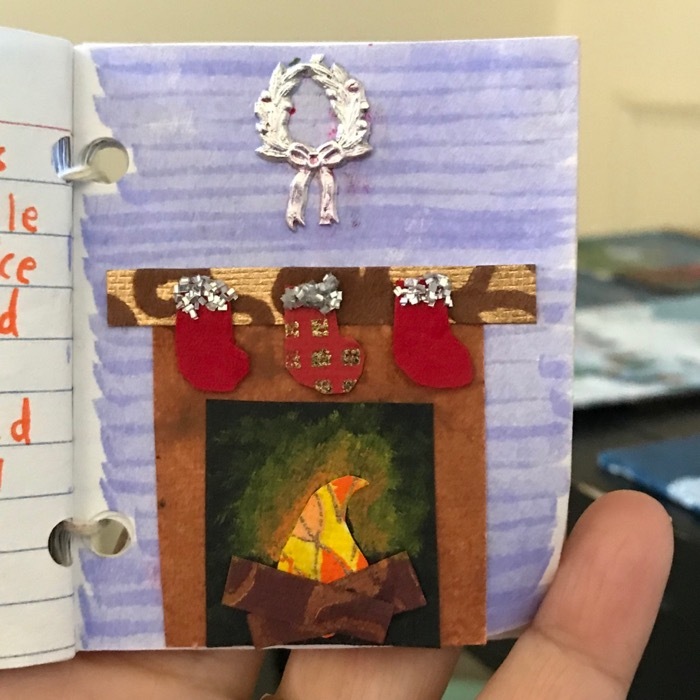 Maria-your Little Pocket Advent Calendar is a treasure! Your parents will cherish it forever. 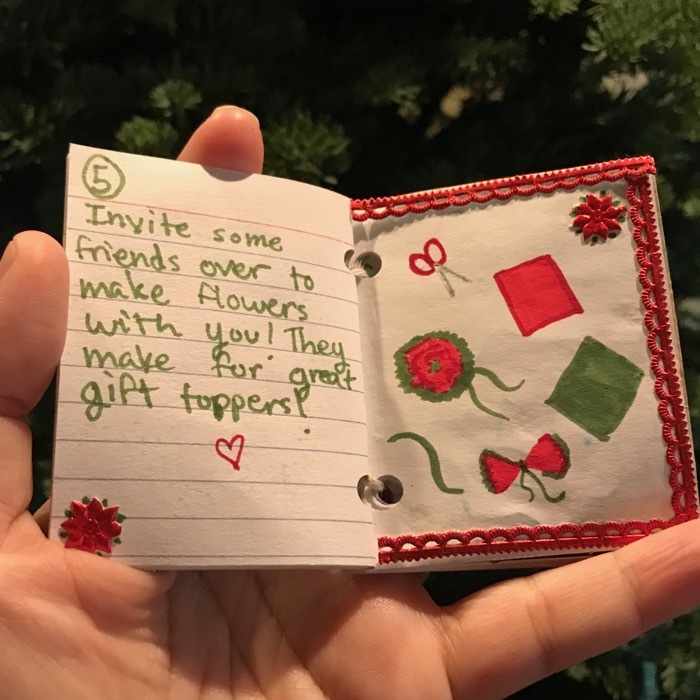 You are so creative and thoughtful. I love your mom's blog and check it every day to see what she has to share. 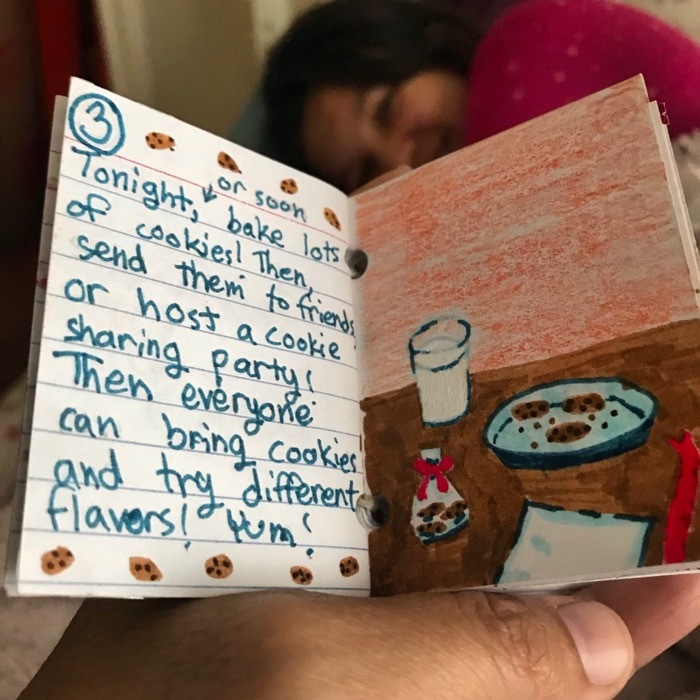 I hope she shares more pages from your book soon. We have to see them all! Happy Christmas. Did your family have to evacuate? Are you all ok? We worry about you out here in Texas.